Hordes of undead are approaching! Your mission is simple - throw everything you have at them and stop them in their tracks. 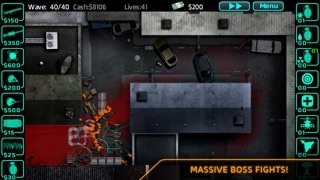 Deploy your elite soldiers, automated turrets, and defensive barriers in strategic locations throughout each unique map. 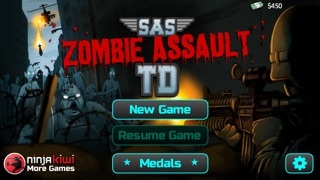 You are the last defense against the Zombie Assault! 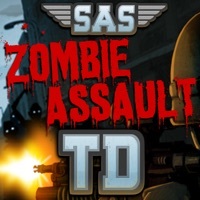 From the makers of the critically acclaimed shooter SAS: Zombie Assault 3 and the top strategy game Bloons TD 5 comes an incredibly challenging tower defense game in the Zombie Assault universe. 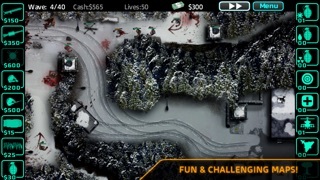 Challenge yourself to keep the hordes at bay across 7 maps, each with Normal, Elite, Nightmare or Apocalypse modes. 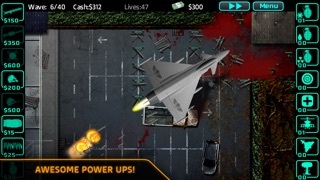 Pass each map to earn achievements and unlocks, and also earn valuable SAS dollars to unlock powerful top tier upgrades, buy helicopters, airstrikes and even nukes to help you survive. Get free one-time-use powerups every 5 levels, too! 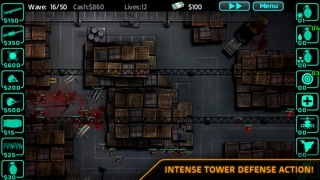 Check out these cool features: ★ Free tower defense game from the makers of SAS: Zombie Assault 3 and Bloons TD 5 ★ Create mazes, chokepoints, and barriers with your towers for ultimate strategic control ★ Awesome soldier and sentry gun towers, each with offensive and defensive upgrades and epic top tier powers ★ Amazing temporary powerup items like Cryo Grenades, Necro Nukes, Airstrikes, and Attack Choppers ★ Devastatingly powerful zombie bosses to defeat ★ 7 maps each with unique strategic challenges and freeplay mode ★ 4 difficulty and game modes ★ Leaderboards and Achievements Optimized for iPhone 5 and iPod Touch 5th gen. Sorry, we could not support 3GS or below - too many zombies!!! Make sure to use the iCloud data storage to save your progress in case anything happens to your device or app. Share iCloud data freely between iPhone and iPad. And remember you can earn SAS$ by winning maps or by using the "Earn SAS$" button in the Store. Pro Tip: Use all of the temporary crate powers that you get every 5 rounds - you will need these to survive! This was such a fun game and I’m super bummed that it’s not upgraded for iOS 11. It’s really fun to play and creates a great intellectual challenge to survive! Please upgrade this game for iOS 11. I can’t play thing game anymore, I updated my phone and it says the developer needs to update the game for me to play it. I loved this game but now I can’t play it..please update it. I liked this game and I had to update my phone and then I couldn’t play this game because you didn’t update it. I used to enjoy this game SOOO much but now there is one issue. It doesn’t support IOS 11. DEVELOPERS PLEASE UPDATE IT SO I CAN PLAY ON IOS 11!! !